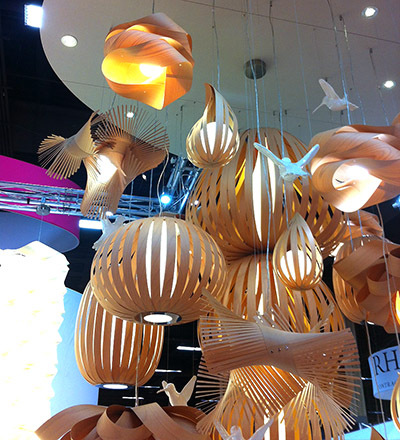 Hospitality Design Expo which is held every year in Las Vegas, NV, is one of the largest hospitality industry related trade events in the United States. The show helps interior designers (as well as other professionals) to get acquainted with the latest industry trends related to restaurant and hotel designs. This year I took a few snap shots with my IPhone to bring you my latest findings. This beautiful reclaimed old barn wood was introduced by Olde Wood company. Only a few months ago I was looking for it for one of my projects but I never could find such variety of distressed wood as this. What a great find! 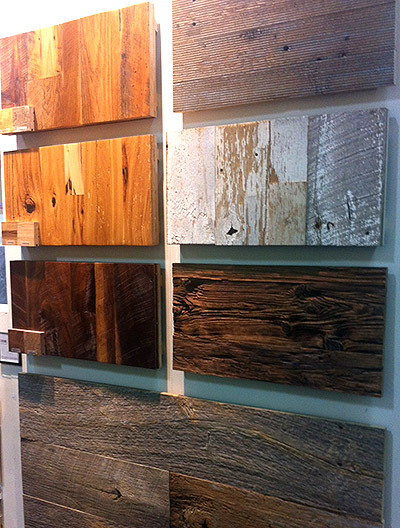 Distressed wood can be used for your walls, counter siding or even soffits finish. This wood comes from old barns that are being dismantled and saved for reuse. 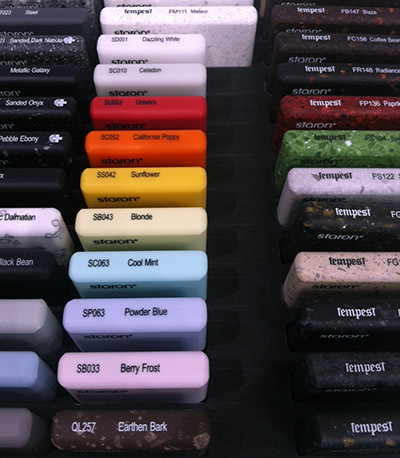 Staron Solid Surfaces company makes almost every color of plastic. They will build any type of sophisticated design per your drawings. Good to know! LZF light fixtures are my favorite! And I had to stop by their booth to see what else I could use for my next project. We are using their lights for one of our projects in NY right now – Holey Donuts Store. 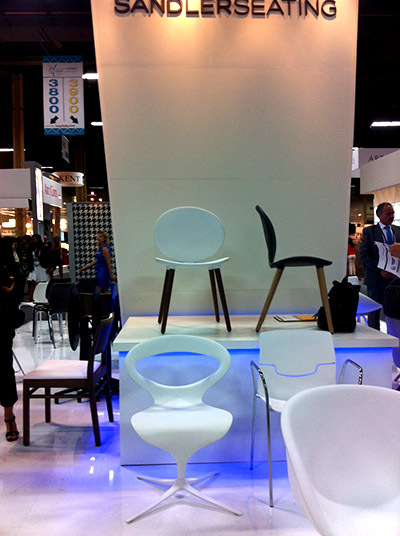 Sandler Seating presented some very sophisticated designs at this Las Vegas EXPO. 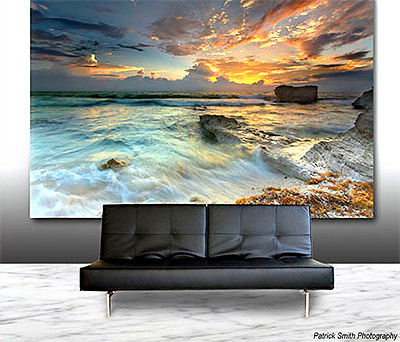 Magna Chrome really amazed everyone with their beautiful photos printed on metal. I took this photo off their website as I could never get a good shot (with my IPhone) to show how beautiful these prints look. I will definitely use this company for my next art on walls. These are just a few highlights of this fantastic HD EXPO for 2013. What do you think? Can you use any of these materials on your project?